Austin Recovery is a drug and alcohol addiction treatment center founded back in 1967 by Jim and Hazel Lavender. Through decades in addiction treatment, Austin Recovery worked with thousands of patients and families. They believe that compassionate care and a quality program for addiction treatment should be available to all, regardless of the financial status. The treatment center utilizes a 12-step approach, evidence-based therapies, and relies on a supportive and compassionate environment to help patients overcome their addiction. The inpatient treatment is set on a Hicks Family Ranch where men and women are separated into two different buildings. Building for men has 50 beds while the department for women has 20 to 25 beds. Two patients share a room, similarly to other treatment centers. Each room has its own bathroom, unlike some recovery facilities where there’s one bathroom per hall. The entire area is comfortable, neat, and relaxing all of which patients need in order to recover successfully. The treatment center prioritizes healthy diet, particularly Mediterranean diet. This only shows that Austin Recovery goes beyond helping patients beat addiction, it also promotes a healthy lifestyle. The recovery center uses an individualized approach when working with men and women addicted to alcohol or drugs. One size fits all approach doesn’t work, which is particularly useful to always make sure treatment facility customizes programs based on patient’s needs, type of addiction, severity, and other parameters. Outpatient programs – accommodate the work schedule of patients. Outpatient and aftercare programs feature individual and group therapies, 12-step integration, experiential work. Duration of the program is eight weeks or 24 classes. Outpatient therapies during the day are available to women only while night-time therapies are suitable for both men and women. The main goal of the above-mentioned therapies is to enable patients or clients to face their demons in order to get on the road toward successful recovery. Overcoming addiction is tough, but achievable task and in order to make it happen a patient needs to face problems rather than ignore them. That’s exactly why the treatment center focuses on therapies that teach patients to conquer fears, face the past, forgive themselves, handle traumatic events, and so much more. The whole idea behind Austin Recovery and its programs is to help patients overcome their addiction and they’re well aware of the fact that many men and women aren’t in a favorable financial situation. The treatment center doesn’t reveal prices of treatments, that’s something you can find out by contacting them. What they do disclose is that major insurance and Medicaid plans are accepted. 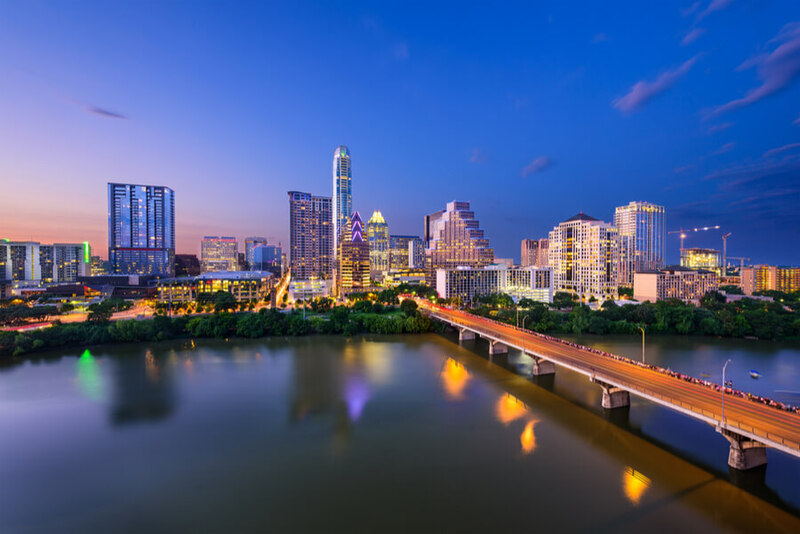 Moreover, Austin Recovery has arranged various options that aim to make payments for therapies and programs easier. Austin Recovery is CARF accredited. The acronym CARF stands for the Commission on Accreditation of Rehabilitation Facilities, an international nonprofit organization founded in 1966. Not only is it an alternative to Joint Commission certification, but CARF also focuses on the quality of services and programs provided by rehabilitation facilities. The certification is a great sign of the effectiveness of treatments offered by Austin Recovery. The treatment center is transparent about programs and therapies available to patients who want to overcome their substance abuse problem. Their main goal is to help patients have a substance-free and healthier life. What makes this recovery center so different is that patients also get to visit and learn more about Alumni Association which gathers patients who have successfully overcome their addiction problem and now they’re working together to help new patients at Austin Recovery. This is a practical resource of knowledge, experience, and information that patients need in order to manage their problem more effectively. Although bios and descriptions of each person are missing, it’s still safe to say Austin Recovery gathers an amazing team. How? It’s easy; they offer a well-structured program that can only be carried out properly by a responsible, knowledgeable, and highly skilled team.